It's official: Just hours ago the Trump administration rolled out its official plan to strip protection from nearly every wolf in the lower 48. We're kicking our activism into high gear and need you with us. 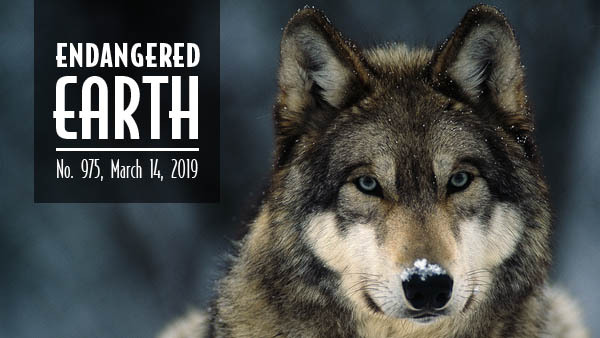 Hundreds of the Center for Biological Diversity's Ignite Change volunteers attended more than 60 Wild for Wolves events across the country last week, including a protest outside the White House. It was an amazing outpouring — exactly what's needed to create a real future for wolves. The coming months will be critical to stopping Trump from taking us back to the days when wolves were trophy hunted and recklessly trapped and poisoned. We need all hands on deck to speak out, gather comments, organize locally and attend events. Don't sit this one out. Join Ignite Change volunteers around the country, and we'll connect you with other activists in your area. And consider donating to our Wolf Defense Fund, too. The U.S. Army Corps of Engineers, reversing course, has issued a key permit for a controversial planned mine in southern Arizona. The open-pit copper mine would threaten area waters and lands in the heart of jaguar critical habitat. The decision comes more than two years after the Corps' Los Angeles district recommended denying the permit — as did a series of EPA recommendations. "There's a long, clear record of law, science and public opinion condemning the proposed Rosemont Mine. This permit isn't worth the paper it's printed on," said the Center's Randy Serraglio. "We'll fight with everything we have to protect Tucson's water supply, Arizona's jaguars and the beautiful wildlands that sustain us all." Two rare flowering plants near Las Vegas are at risk from mining, off-road vehicles, cattle grazing and sprawl — so the Center has notified Nevada we'll seek federal protection for them. The Las Vegas bear poppy and white-margined beardtongue are indicators of the health of the region's Mojave Desert. 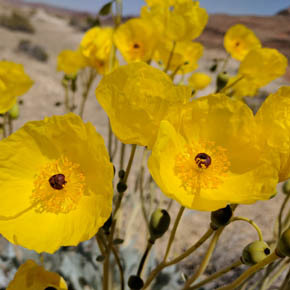 "These beautiful wildflowers are essential to the ecosystems that Clark County's iconic desert wildlife, including tortoise and bighorn sheep, need to survive," said the Center's Patrick Donnelly. "They must be protected before it's too late." Read more. They grow up to 2 feet long and breathe through their skin. Their skin is covered in light-sensitive cells, which means they can "see" with their bodies. Their slime is toxic. We're talking about the giant aquatic salamander of North America known as the hellbender. Unfortunately these giant amphibians are at serious risk of extinction. Check out a fun video about hellbenders on Facebook or YouTube and then take action to save this amazing species. Public-interest groups, including the Center, delivered more than 45,000 petition signatures to the Environmental Protection Agency this week urging it to deny a proposal to expand the spraying of antibiotics on citrus fields. More than 3,500 of those comments came from Center supporters. Thank you. If the proposal is approved, growers could spray more than 650,000 pounds of streptomycin — an antibiotic critically important to human health — on fields every year to treat the bacteria that causes citrus greening disease. "Spraying orange and grapefruit trees with an antibiotic we use to treat disease is dangerously shortsighted," said the Center's Emily Knobbe. "Antibiotic resistance is a very real threat to human health." 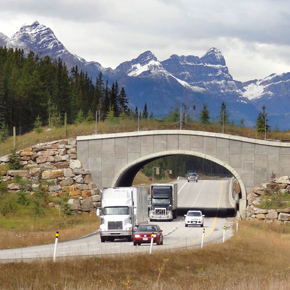 In conversation with The Revelator, Corridor Ecology coauthor Jodi Hilty tells us about how progress is being made creating land and water pathways — everywhere from North America to Australia — to connect fragmented habitat and save species from going extinct. Read the interview and sign up to receive The Revelator's weekly newsletter. 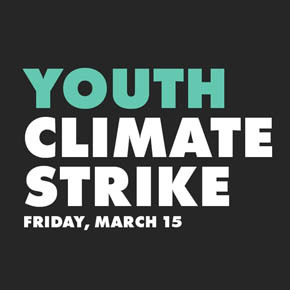 On Friday young people across the world are going on strike for real climate leadership. It's part of a powerful global movement led by brave school kids who are willing to take the climate crisis into their own hands. They're on the right side of history in calling for a large-scale climate plan, a halt to new fossil fuel projects and a just transition to clean, renewable energy. These young people deserve our support. Check out this map and consider attending one of the events near you. In this video Cynthia Pompa of the ACLU talks with the Center about how Trump's wall will divide a united community with shared values. This video is part of the Center's #BorderViews series, shot on the front lines in the fight to protect species, habitat and communities from Trump's destructive border wall. Watch it on Facebook and YouTube. Wild & Weird: Did You Miss National Pig Day? March 1, National Pig Day, has come and gone. Did you miss it? We did too, and are none too proud. Pigs are amazingly intelligent and social creatures that probably deserve more than one day of celebration — especially the 17 species of wild oinkers out there in the world. Fun fact: Two sisters, Ellen Stanley and Mary Lynne Rave, started the swine celebration in 1974. Check out beautiful photos of some of the world's most handsome and charming pig species by photographer Joel Sartore at NatGeo. Photo credits: Gray wolf by Isster17/Wikimedia; Santa Rita Mountains near proposed Rosemont mine site by Russ McSpadden/Center for Biological Diversity; Las Vegas bear poppy by Patrick Donnelly/Center for Biological Diversity; hellbender video still by Steve O'Neil/Earthshine Nature Programs; citrus tree by Muffet/Wikimedia; wildlife overpass by WikiPedant/Wikimedia; graphic courtesy Youth Climate Strike; #BorderViews video still by Leslie Ann Epperson; wild pigs by Alexas_Fotos/Pixabay.